On Sunday morning a Palacio home owner alerted Mitch about the storm drain cover that was lifted off and moved a way from its original location. It is located in front of 2147 Paseo Del Oro. 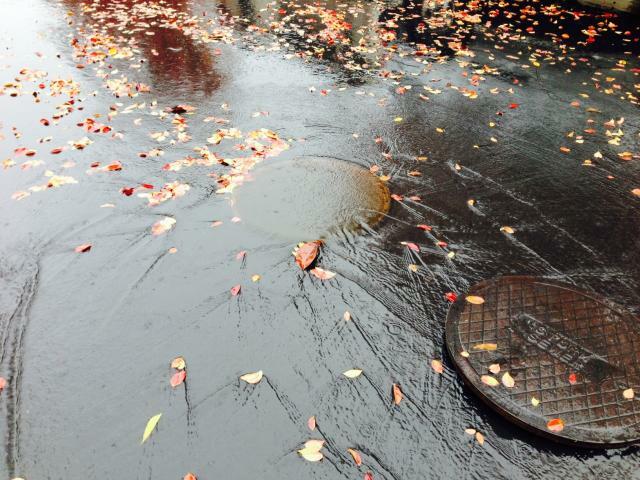 It is likely that a blockage in the drain caused the rain water to back up and lift the cover. This makes the 24" hole open and can cause damage to motorist or injure someone if not detected by a person or child walking in the street. The cover was re-installed by an unknown home owner. It is currently safe. To mark the spot, incase the cover slides off again, 2 orange cones were placed near the cover. Please contact us or the management company if you see the cover lifted again. On Dec 11 2014 due to heavy rain again the cover was lifted. This is what it looked like after the rains slowed down some. Management Co. has notified the authorities.